In honour of Fashion Revolution week, here's a quick and simple clutch pattern that you can use to transform something old into something fabulously new. Fashion Revolution is a campaign to demand transparency from an increasingly exploitative fashion industry. Someone has to pay the price for cheap fashion, and the system works to conceal it. This week marks four years since the Rana Plaza collapse, one of fashion's worst industrial disasters, that killed over 1,000 garment workers in Bangladesh. That's why we demand to know: who made my clothes, and at what cost? It is up to us to put pressure on the conscience of the people behind brands all over the world to rethink the ways in which fashion is made. But revolution is not just for the big guys. We are complicit, too. In our own small ways, we need to take a stand against what the fashion industry has become, and find ways to change it for the better. Making a clutch bag might not do that. But by connecting with our clothing – appreciating the skill and art of making something, finding respect for those who make the clothes we wear every day – I hope we can begin to change our mindsets, our habits, our communities. Each change leading to the next in an ever-expanding ripple, until we get to see real revolution. So on that macro-level note, I leave you with a micro-level project. Get in touch with the beauty of making something from scratch. 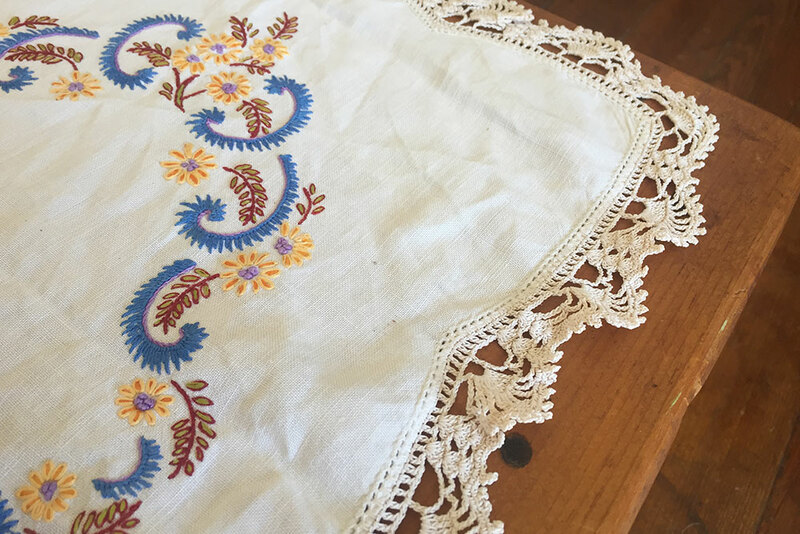 I loved the hand-embroidered detail on this little cloth, but it wasn't getting any gigs on our coffee table. But I knew I'd love it as a pretty clutch. Follow along and transform your castoffs into something you can use and appreciate once more. First things first, print out your pattern and stick it together. It's only three A4 pages, so it's a quick one. If you need guidance on how to put your pattern together, see the help section on our FAQ page. Iron your fabric and lay it out flat. Pin your pattern piece onto the fabric, making sure the wrong side of the fabric is facing up. With a fabric marker or tailor's chalk, transfer the pattern markings to the fabric. The pattern includes 10mm seam allowance, so cut out along the edge of the pattern piece. In the same way, cut another piece out of lining. 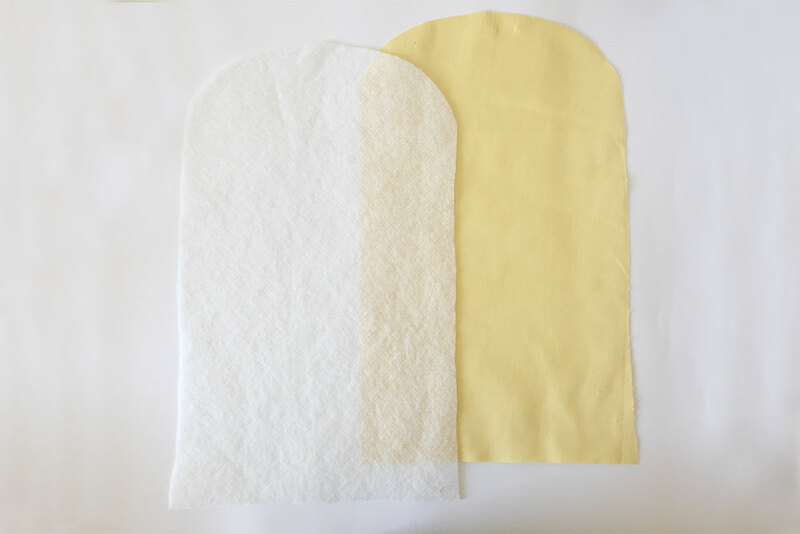 If you fabric is quite soft or flimsy, you might also want to cut another piece out of batting. This is totally optional. Batting is a kind of synthetic wadding that is usually used to line quilts. This will give your bag a bit more structure. On your main fabric piece, sew two parallel lines of straight stitches for the base. With the right side of the fabric facing up, pinch between the parallel lines to form a small fold. Pin in place. Fold the bag up along the base, right sides of the fabric facing. Pin the side seams. If you're using batting, match it up with the main fabric piece now. Sew the side seams, but stop your line of stitching 1cm before the edge. Do the same for the lining piece. Now you have two bag shapes, one from your main fabric and one from lining. Leave your main fabric bag with right sides facing in. Turn the lining right side out and insert into the main bag. Match the lining neatly with the main bag. 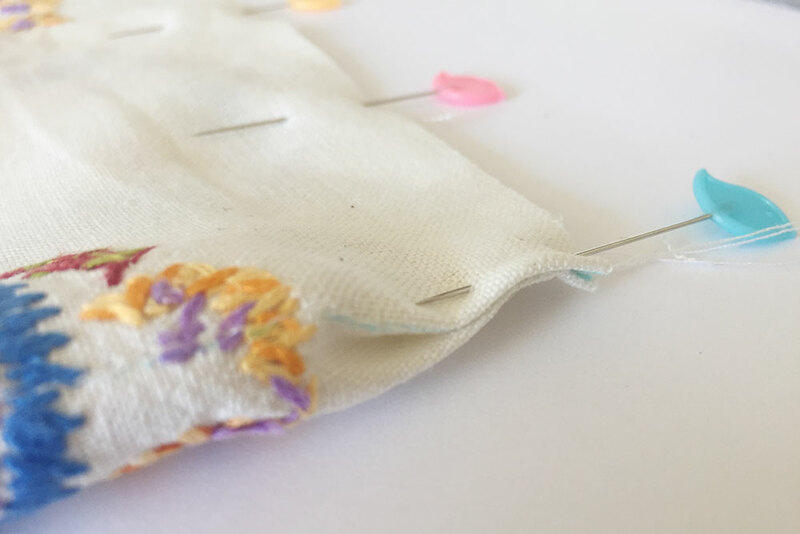 To prevent your lining from peeking out on the finished bag, it's useful to pin the lining ever-so slightly away from the edge of the main fabric. Now sew all the way around the curvature of the flap. Start and end on the same line as the side seams. You may have to push the fabric into place to expose the side seam. Once you have sewn all the way around the flap, snip into the seam allowance, being careful not to cut into your stitches. This makes the bag easier to turn and ensures a lovely smoothly-rounded flap. Pin the inside edges of the bag together. Sew together 1cm away from the edge, but leave a gap in your stitches in the middle. Now for the fun part! Reach into the little gap you've left and pull the bag right side out. Push the lining into the pocket of the bag. Sew up the little gap by hand with slip stitch.